Tonight I managed my first foray into cooking Ethiopian food. 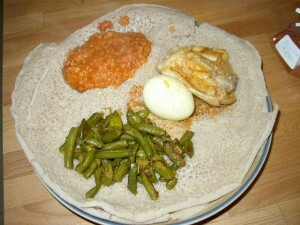 Several years ago I first tried Ethiopian food at our local food coop. A local restaurant provided the coop with injera and a variety of Ethiopian dishes to go with it: several lentil stew variations, spicy green beans, and a beet/potato/apple? combination. Then the restaurant changed hands and the selection at the coop got pretty narrow (lentils, but not much else). Recently I gathered a pile of recipes (from cookbooks and the internet) and bought some berberé (an Ethiopian Spice Mixture essential to almost every dish). 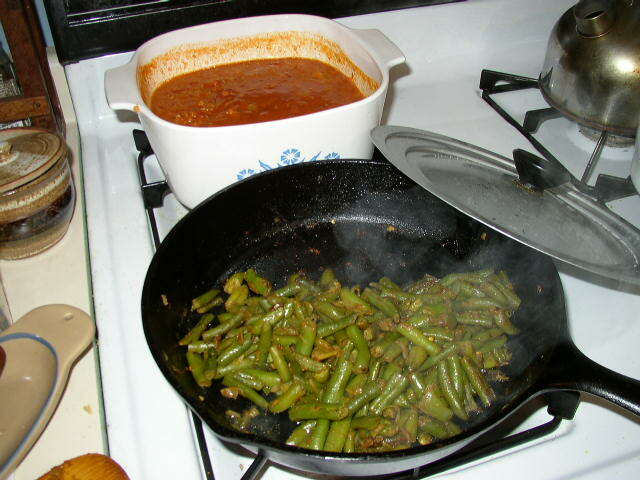 I decided I would try to make Doro Wat (Chicken Stew), Mesir Wat (lentil stew), and spicy green beans (which I could not find in any Ethiopian cookbook, so I used an Indian recipe that seemed similar to the dish I remembered). Below are some pictures. Will post recipes once I figure out exactly how I merged the several recipes I had for each dish. I’ve always loved Spicy Orange Beef. Today I finally tried to make it. Gathered half a dozen recipes and did my thing. It was amazingly good for a first try. I went ahead and typed it up. Check it out at Orange Beef. I served it with rice and Sesame Green Beans borrowed from a simple Rachel Ray recipe: toast 1 T. sesame seeds in a dry pan until lightly browned. Set aside. Steam green beans in 1/2 inch boiling water for 2-4 minutes, until bright green. 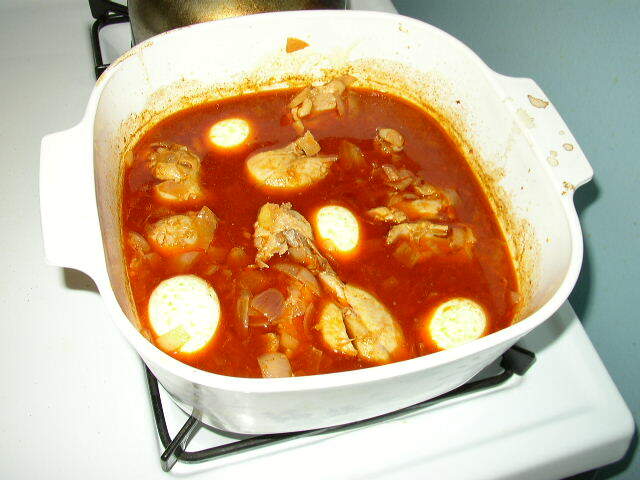 Drain in colander and rinse with cool water to stop cooking. Heat a frying pan or wok over high heat for 20 seconds, add a thin layer of oil and a dash of sesame oil. 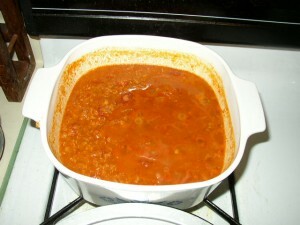 Toss in 1/2 tsp. crushed red pepper flakes. 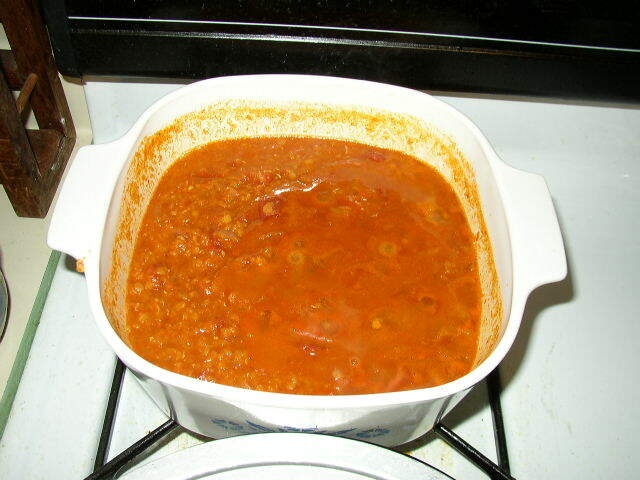 Cook for 10 seconds, then add beans and cook for 2 minutes. Toss with sesame seed and coarse salt. Enjoy!